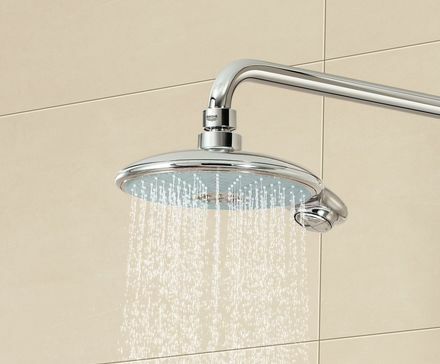 The new GROHE Power&Soul® shower systems are easily fixed on the wall and instantly add value to the bathroom both in functional and visual terms. 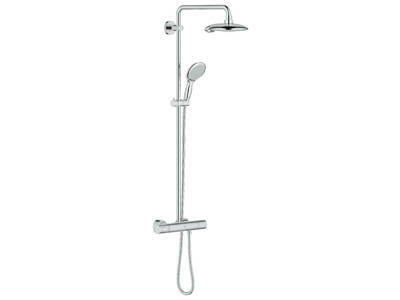 Available in lengths of 450 and 390 mm, the swivable shower arm is a perfect fit for conventional shower cabins and bathtubs as well as for spacious walk-in showers. 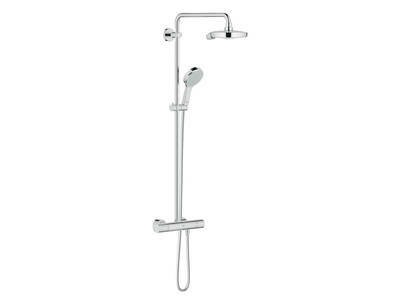 The combination of head and hand shower leaves nothing to be desired - no need to make the difficult choice between either one. 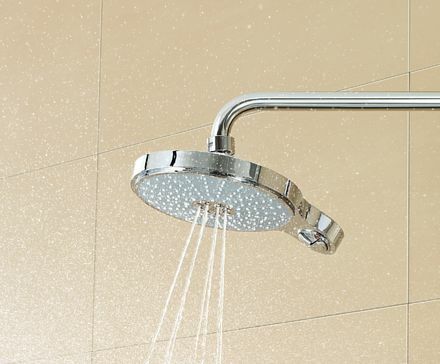 Whether you choose an AquaDimmer for fast switching between the head shower and the hand shower combined with a thermostat which sets the desired water temperature, or if you prefer a straightforward diverter between the two showers - a great shower experience is ensured at all times. GROHE Power&Soul® Systems are available in a choice of two designs: Cosmopolitan and Contemporary – created to ensure complete design coordination with your bathroom interior. GROHE Power&Soul® showers give you the benefit of two luxurious Rain sprays: our classic Rain spray and the new air-infused GROHE Rain O2 spray. Select the GROHE Rain O2 spray and air is drawn into the shower face where it is mixed with high-speed streams of water, resulting in voluminous water droplets and a wider spray. 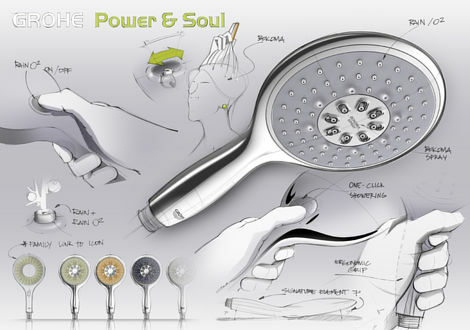 GROHE Power&Soul® Cosmopolitan showers have been created with full appreciation of your moods and needs. Four innovative spray patterns: GROHE Rain O2, Rain, Bokoma Spray®, and Jet offer a choice of tempting experiences. And with the introduction of the new One-Click Showering spray selector – switching between the four patterns has never been easier.